We have often thought that the issue of co-morbidity with addiction may be better understood by appreciating that certain “anxiety” type manifestations in addiction, often attributed to a co-occurring anxiety disorder, may be the consequence of an hyper reactive amygdaloid region in the brain. This commonality would explain why addicted individuals appear to have co-morbid conditions such as anxiety disorders. In very simple terms, there is a emotional overreaction to environmental challenge in various disorders which appear as co-morbidity? However, instead of getting into a debate about the extent of co-morbidity in addiction, shouldn’t treatment we more concerned about treating the hyper reactivity of the amygdaloid and the fear-based or threat based reactions and catastrophic thinking associated with this over-reactivity? Successful treatment of this would render the debate about the extent of co-morbidity less urgent? The study we cite and use excerpts from today suggests that anxiety disorders and addiction have a common difficulty with a hyper reactive amygdaloid region of the brain. In other words, the heart of the distress experienced in various addictive behaviours and other psychiatric disorders may be the amygdaloid region of the brain? Co-morbidity may be explained as the common influence of a hyper reactive amygdaloid region in a host of psychiatric disorders including addictive disorders. “Anxiety disorders and alcohol use disorders (AUD) are highly comorbid in humans. Anxiety disorders often precipitate alcohol abuse, and high anxiety is a hallmark symptom of alcohol dependence that manifests during withdrawal. 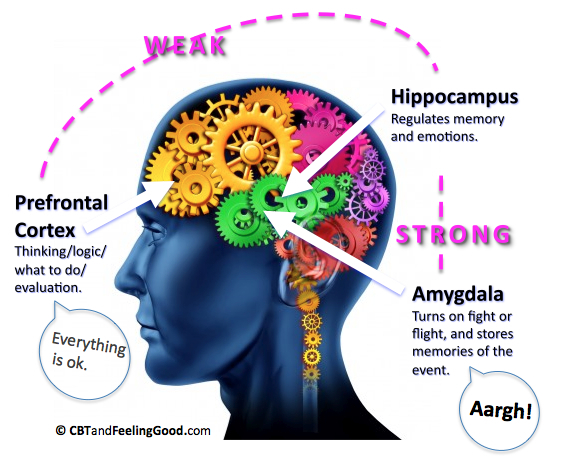 Many anxiety disorders are marked by hyperactivity or hyperreactivity of the amygdala (1). In healthy humans, amygdala activity is increased during fear conditioning (2,3). Patients with posttraumatic stress disorder (PTSD) exhibit higher amygdala activity at rest (4), and hyperreactivity of the amygdala to trauma-related stimuli (5) is predictive of symptom severity in patients with PTSD (6,7). Individuals with a family history of alcohol dependence exhibit reduced amygdala volume (23) and reduced amygdala activation in response to fearful faces (24). Patients with PTSD who abuse alcohol exhibit altered amygdala blood flow relative to normal controls (4). 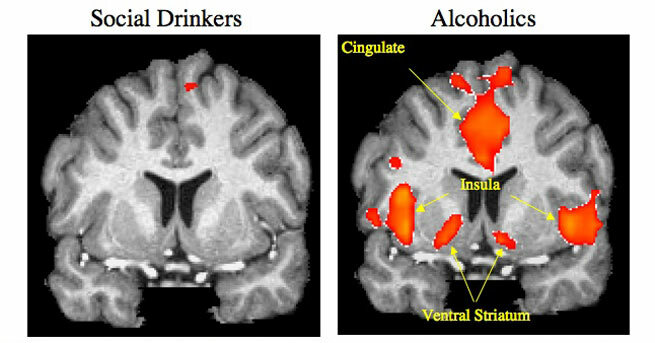 In a cue-reactivity functional magnetic resonance imaging task, alcohol cues activate amygdala, striatum, and cortical regions (25,26). Amygdala abnormalities may result in disinhibition of downstream brain regions that regulate physiology and behavior. Anxiety disorders and AUD are highly comorbid in humans. A preexisting anxiety disorder can precipitate alcohol abuse, and high anxiety is a hallmark symptom of alcohol dependence that manifests during withdrawal. Ultimately, as this study (1) alludes to, there is a vital role for amygdaloid activity in both anxiety disorders and in alcoholism. It seems, however, to be suggesting that this amygdaloid hyperactivity is mainly prevalent in withdrawal and protracted abstinence. It does not mention that amygdaloid hyper reactivity may continue to be present in long term recovery or even be evident in pre morbidity? In other words, this amygdaloid hyperactivity may play a role in terms of a vulnerability to later alcoholism too. Especially when one considers that alcoholism has been said to be highly co-morbid with other disorders which can also be viewed as based on amygdaloid hyperactivity such as in Generalized Anxiety Disorder, Major Depression, PTSD, etc. Also given research findings that the majority of alcoholics have experienced some childhood maltreatment such as emotional, mental, physical or sexual abuse or have experienced trauma incidents in childhood there may be an amygdaloid hyperactivity “pre morbidly” also, even prior to substance or alcohol use. It may be a vulnerability factor in the aetiology of alcoholism in fact. So are we being outlandish to suggest that alcoholism and perhaps other addictive behaviours are also amygdaloid disorders just like other affective, anxiety and mood disorders? Is the sometimes thorny issue of co-morbidity may be clouding the role of a hyper reactive amygdaloid region of the brain across a range of disorders and manifesting in similar behaviours? 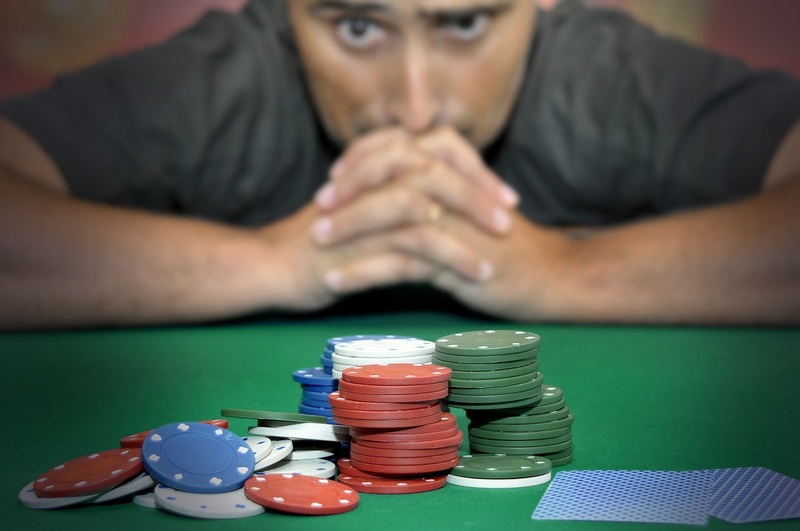 It is often said in term of anecdote that alcoholics, even in recovery, are fear-based thinkers. Isn’t it reasonable to suggest that it is the influence of the amygdaloid in this, isn’t it this threat-based hyperactivity “doing the thinking” instead of the more reasonable and evaluative prefrontal cortex region of the brain. 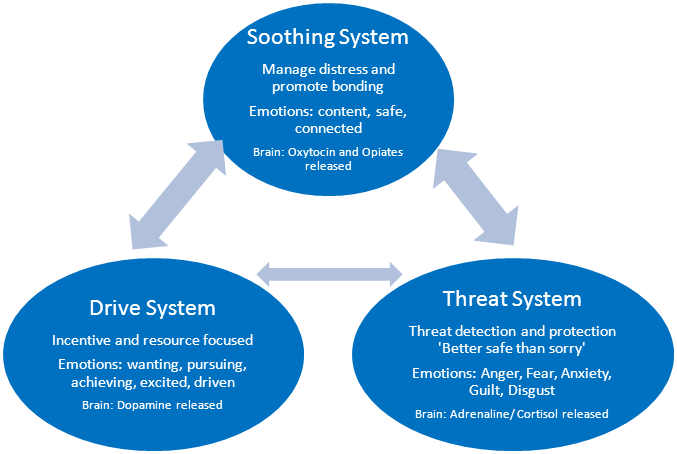 It may be that both addictive and anxiety/mood/affective disorders share commonalities in that a hyper reactive amygdala makes sufferers more inclined to over react emotionally and to have related cognitive distortions when faced with threat in the environment. In fact, they may be inclined to experience situations as threat and which induce anxiety when there is no real or limited threat? There reactions are disproportionate to the environmental of cognitive challenge? These sufferers may be living in a near constant state of “emergency” when there is no emergency? We suggest this amygdaloid hpyerpactivity has similar manifestations in a range of disorders. It can be shown in relation to the tendency to choose lesser short term immediate gain over greater, long term gain as shown in delay discounting and other behavioural/emotion tasks and across all these respective disorders. This hyper-reactive amgydaloid seems to result in a distress based impulsivity which effects decision making too and this is seen in a range of disorders. 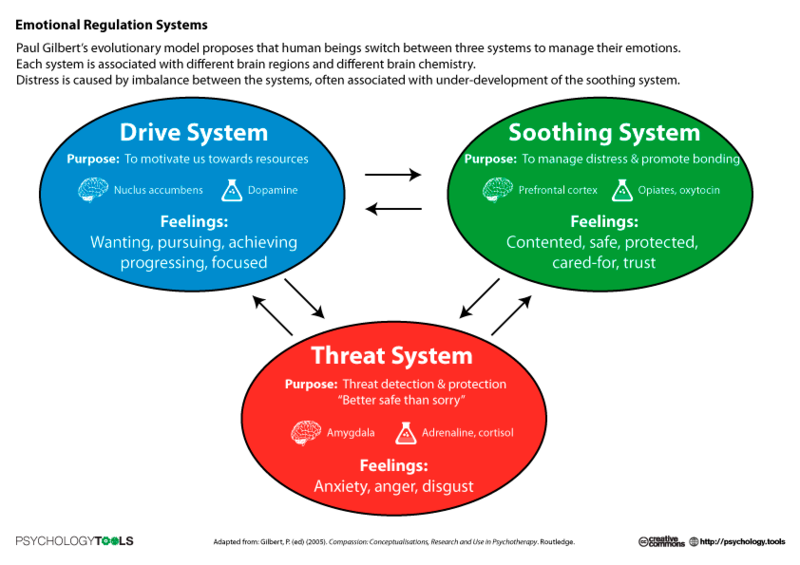 Other commonalities such as intolerance of uncertainty, catastrophic thinking etc also seen across a range of affective disorders may also result of an over reactive amygdaloid region being in charge of behaviour instead of the prefrontal cortex. 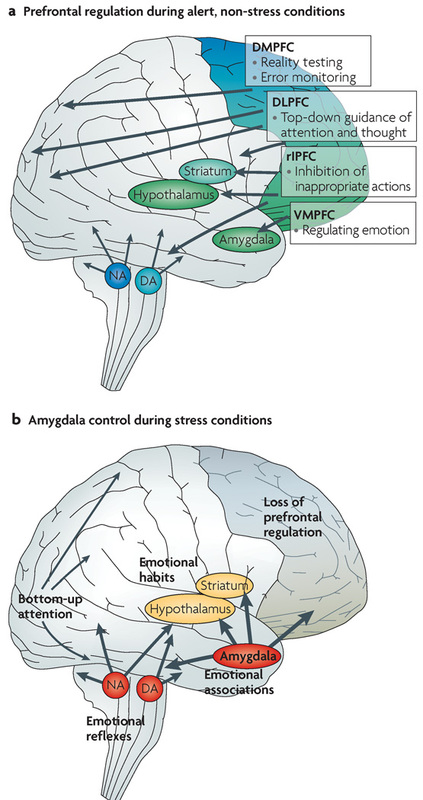 It would seem in all these disorders that decisions are made to relieve inherent distress and not based on the recruitment of the prefrontal cortex as a hyperactive amgydala does not recruit the prefrontal cortex when distressed, it recruits “fight or flight” reactions and “emergency’ type thinking which immediately “offline” the prefrontal cortex in thinking and decision making. It is thus important we feel to treat the distress at the heart of all addictive behaviours rather than be bogged down too much in issues surrounding co-morbidity. It may be that even the similar manifestations of certain co-morbidities get canalized in a general addiction relapse risk and this heightened emotional and stress reactivity should be treated before all else as it can lead to relapse. In treating this relapse risk we may be getting at the heart of what needs to be treated more generally, regardless of supposed co-morbidity? Namely the errant emotion regulation, decision making deficits, distorted thinking, distress based impulsivity and compulsivity, and emotion processing deficits which accompany hyper reactivity in the amygdaloid region of the bran. In other words, the distress at the heart of addictive behaviour! Gilpin, N. W., Herman, M. A., & Roberto, M. (2015). The central amygdala as an integrative hub for anxiety and alcohol use disorders. Biological psychiatry,77(10), 859-869.